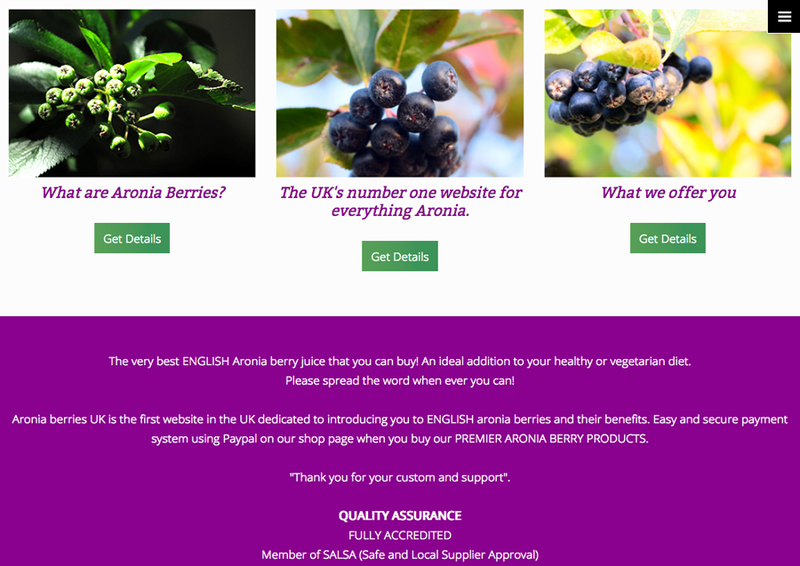 This week's website of the week goes to Aronia Berries. 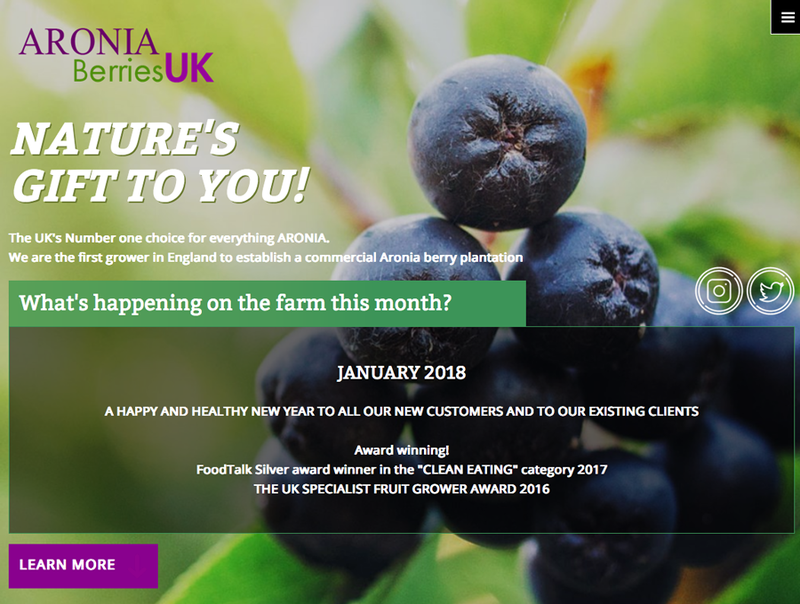 The UK's Number one choice for everything ARONIA. 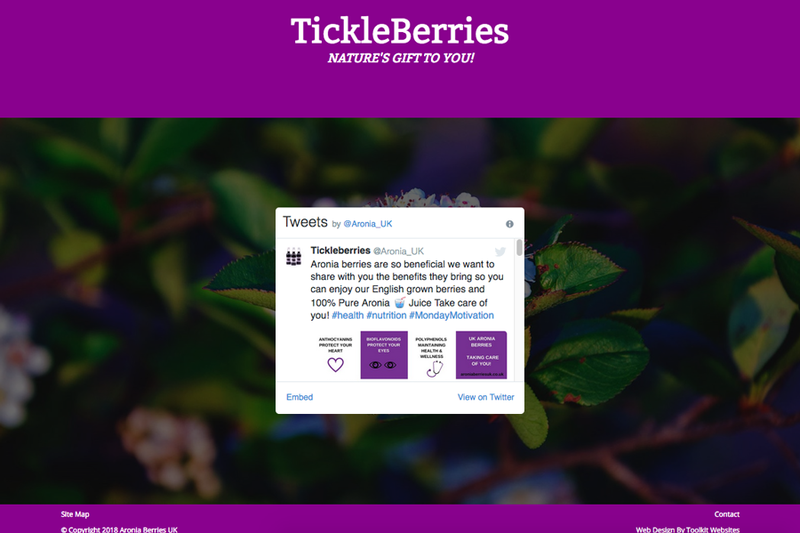 The website features a green and purple colour scheme taken from the clients branding. The website has social media icon links, anchor buttons, expandable divs, parallax panels and social media feeds. 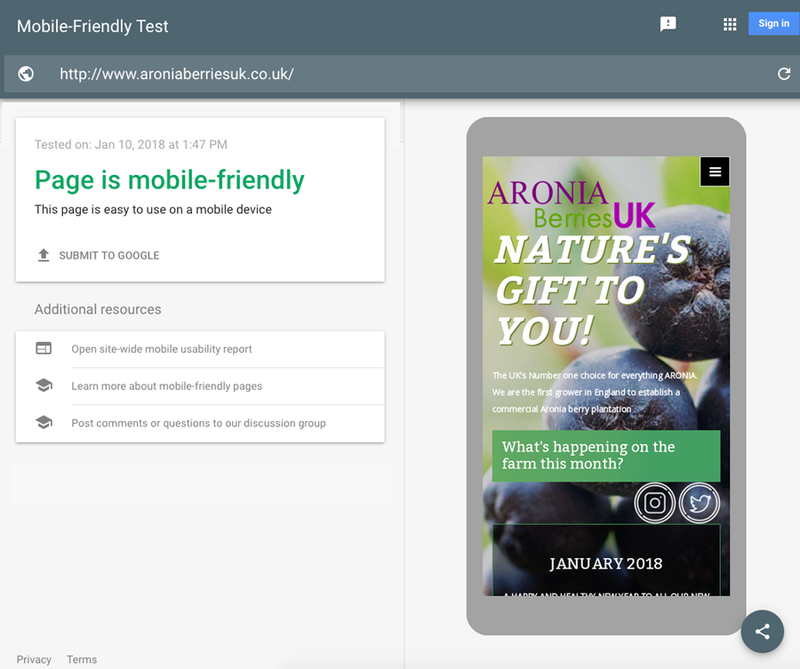 The website features carefully selected images that all represent the aronia berry, flower or plant. These set the tone for the website and give the design a visual appeal. Did you know... we can add social media feeds to your website so that people can see when you update your social media accounts.